The sun is peeking through the clouds, daffodils are appearing at the side of the street and Easter is just around the corner. Spring is the perfect season to visit the numerous attractions that Scotland has to offer: from historic sites to museums and parks, here are a few suggestions to help you plan the perfect Easter holiday. Scotland has a very rich history. From the biggest cities to the smallest towns and villages, anywhere you go you will find a piece of the past. Castles, palaces and gardens are wonderful destinations this spring, and if you have been following the latest cinema releases, you will notice how Hollywood has taken interest in the ancient tales of our country. 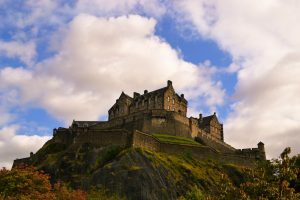 Read our past blog posts on film locations to learn more about the history behind movies and TV series such as Outlaw King, Mary Queen of Scots, and of course, Outlander. Learn all about local artists, traditions, architecture and much more. There are a few hidden gems in rural Scotland that you might want to visit. The BLiSS Trail sculptures and art installations around the villages of Balquhidder, Lochearnhead, St. Fillans and Strathyre. Smith Art Gallery and Museum, The Engine Shed and Made in Stirling in Scotland’s historic capital. 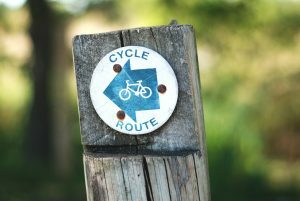 Discover the numerous walking and cycling paths, reconnect with nature and spot the local wildlife! Among some of the most scenic routes are: Bracklinn Falls and Callander Crags; Rob Roy Way; Cycle Route 7; St. Fillans Viewpoint Circular; The Melville Monument. If you are looking for a different mode of transport, check out LETi’s page on pony trekking and horseback riding in Rob Roy Country. Less strenuous activities include sports such as golf and fishing. Most of our cottages are located only a few minutes away from local golf courses, and great majority of them is within walking distance of stunning lochs and rivers. Check out our blog post on the beginning of the fishing season to learn about the best places to catch some salmon, trout or pike perch. You might also want to think about purchasing the Perthshire Golf Pass, which will allow you to play 18-hole rounds at three different local golf courses.